Looking for an affordable way to get behind the wheels of a stylish, sporty, and luxurious European sedan or hatchback near Alamo? Then check out the current lineup of BMW 3 Series lease deals at BMW Concord! Check out the spirited performance of the new 2.0L TwinPower Turbo 4-cylinder engine, and experience the dynamic handling of the new 3 Series’ xDrive system and spirited suspension. You can find the new BMW 3 Series for sale and lease right now at our dealership in Concord, along with a number of used BMW 3 Series models. Nav System, Moonroof, Heated Seats, CD Player, iPod/MP3 Input, Dual Zone A/C, Onboard Communications System, Diesel. Alpine White exterior and Venetian Beige Sensatec interior, 328d trim. FUEL EFFICIENT 43 MPG Hwy/31 MPG City! SEE MORE! KEY FEATURES INCLUDE Rear Air, Back-Up Camera, Turbocharged, Diesel, iPod/MP3 Input, CD Player, Onboard Communications System, Dual Zone A/C Child Safety Locks, Steering Wheel Controls, Heated Mirrors, Electronic Stability Control, Bucket Seats. OPTION PACKAGES PREMIUM PACKAGE Heated Front Seats, Head-Up Display, Navigation System, Remote Services, Advanced Real-Time Traffic Information, Instrument Cluster w/Extended Contents, CONVENIENCE PACKAGE Moonroof, SiriusXM Satellite Radio, 1 year All Access subscription, Comfort Access Keyless Entry, Lumbar Support, PARK DISTANCE CONTROL, WHEELS: 18 X 8 FR & 18 X 8.5 RR (STYLE 397) Light alloy double-spoke, Tires: P225/45R18 Fr & P255/40R18 Rr Runflat Perf, Increased Top Speed Limiter, ACTIVE BLIND SPOT DETECTION. BMW 328d with Alpine White exterior and Venetian Beige Sensatec interior features a 4 Cylinder Engine with 180 HP at 4000 RPM*. EXPERTS ARE SAYING Approx. Original Base Sticker Price: $49,200*. MORE ABOUT US Welcome to BMW Concord, a great source of quality vehicles! Serving Contra Costa County, Solano County and Napa County; Northern California residents for over 30 years! Come experience our praise-worthy customer service, and excellent selection of some of the best BMW vehicles you can find. We keep a large inventory of new and used BMWs, so we are bound to have the perfect one for you. We look forward to serving you! Pricing analysis performed on 4/18/2019. Horsepower calculations based on trim engine configuration. Fuel economy calculations based on original manufacturer data for trim engine configuration. Please confirm the accuracy of the included equipment by calling us prior to purchase. Sunroof, NAV, Heated Seats, Diesel, Back-Up Camera, iPod/MP3 Input, Onboard Communications System. Platinum Silver Metallic exterior and Black Dak Lthr w/ Oyster hglgt interior, 328d trim. FUEL EFFICIENT 43 MPG Hwy/31 MPG City! SEE MORE! KEY FEATURES INCLUDE Rear Air, Back-Up Camera, Turbocharged, Diesel, iPod/MP3 Input, Onboard Communications System, Aluminum Wheels, Dual Zone A/C. Steering Wheel Controls, Child Safety Locks, Electronic Stability Control, Heated Mirrors, Bucket Seats. OPTION PACKAGES PREMIUM PACKAGE Heated Front Seats, Head-Up Display, Navigation System, Remote Services, Advanced Real-Time Traffic Information, Instrument Cluster w/Extended Contents, CONVENIENCE PACKAGE Moonroof, SiriusXM Satellite Radio, 1 year All Access subscription, Comfort Access Keyless Entry, Lumbar Support, harman/kardon SURROUND SOUND SYSTEM, PARK DISTANCE CONTROL, WIRELESS CHARGING Enhanced USB & Bluetooth, Adjustable Front Armrest, WiFi Hotspot, ACTIVE BLIND SPOT DETECTION, HEATED STEERING WHEEL. BMW 328d with Platinum Silver Metallic exterior and Black Dak Lthr w/ Oyster hglgt interior features a 4 Cylinder Engine with 180 HP at 4000 RPM*. EXPERTS REPORT Approx. Original Base Sticker Price: $52,400*. 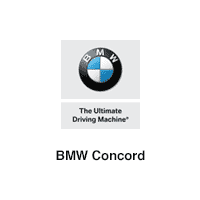 OUR OFFERINGS Welcome to BMW Concord, a great source of quality vehicles! Serving Contra Costa County, Solano County and Napa County; Northern California residents for over 30 years! Come experience our praise-worthy customer service, and excellent selection of some of the best BMW vehicles you can find. We keep a large inventory of new and used BMWs, so we are bound to have the perfect one for you. We look forward to serving you! Pricing analysis performed on 4/18/2019. Horsepower calculations based on trim engine configuration. Fuel economy calculations based on original manufacturer data for trim engine configuration. Please confirm the accuracy of the included equipment by calling us prior to purchase. Nav System, Moonroof, Heated Seats, iPod/MP3 Input, CD Player, Onboard Communications System, Diesel, ACTIVE BLIND SPOT DETECTION. Alpine White exterior and Venetian Beige Sensatec interior, 328d trim. EPA 43 MPG Hwy/31 MPG City! AND MORE! KEY FEATURES INCLUDE Rear Air, Back-Up Camera, Turbocharged, Diesel, iPod/MP3 Input, CD Player, Onboard Communications System, Dual Zone A/C Child Safety Locks, Steering Wheel Controls, Heated Mirrors, Electronic Stability Control, Bucket Seats. OPTION PACKAGES CONVENIENCE PACKAGE Moonroof, SiriusXM Satellite Radio, 1 year All Access subscription, Comfort Access Keyless Entry, Lumbar Support, NAVIGATION SYSTEM Remote Services, Advanced Real-Time Traffic Information, Instrument Cluster w/Extended Contents, WHEELS: 18 X 8 FR & 18 X 8.5 RR (STYLE 397) Light alloy double-spoke, Tires: P225/45R18 Fr & P255/40R18 Rr Runflat Perf, Increased Top Speed Limiter, ACTIVE BLIND SPOT DETECTION, HEATED FRONT SEATS. BMW 328d with Alpine White exterior and Venetian Beige Sensatec interior features a 4 Cylinder Engine with 180 HP at 4000 RPM*. EXPERTS ARE SAYING Approx. Original Base Sticker Price: $47,800*. WHY BUY FROM US Welcome to BMW Concord, a great source of quality vehicles! Serving Contra Costa County, Solano County and Napa County; Northern California residents for over 30 years! Come experience our praise-worthy customer service, and excellent selection of some of the best BMW vehicles you can find. We keep a large inventory of new and used BMWs, so we are bound to have the perfect one for you. We look forward to serving you! Pricing analysis performed on 4/18/2019. Horsepower calculations based on trim engine configuration. Fuel economy calculations based on original manufacturer data for trim engine configuration. Please confirm the accuracy of the included equipment by calling us prior to purchase. NAV, Heated Seats, Sunroof, iPod/MP3 Input, CD Player, Back-Up Camera, NAVIGATION SYSTEM, Rear Air. 320i xDrive trim, Mineral Grey Metallic exterior and Venetian Beige Sensatec interior. FUEL EFFICIENT 34 MPG Hwy/23 MPG City! READ MORE! KEY FEATURES INCLUDE All Wheel Drive, Rear Air, Back-Up Camera, Turbocharged, iPod/MP3 Input, CD Player, Onboard Communications System, Keyless Start, Dual Zone A/C Keyless Entry, Steering Wheel Controls, Child Safety Locks, Electronic Stability Control, Heated Mirrors. OPTION PACKAGES CONVENIENCE PACKAGE Storage Package, Auto-Dimming Rearview Mirror, Universal Garage-Door Opener, Auto-Dimming Interior & Driver Exterior Mirrors, Moonroof, Power Front Seats, NAVIGATION SYSTEM Remote Services, Advanced Real-Time Traffic Information, Instrument Cluster w/Extended Contents, WHEELS: 18 X 8 LIGHT ALLOY TURBINE (STYLE 415) Tires: P225/45R18 All-Season Runflat, HEATED FRONT SEATS. BMW 320i xDrive with Mineral Grey Metallic exterior and Venetian Beige Sensatec interior features a 4 Cylinder Engine with 180 HP at 5000 RPM*. VEHICLE REVIEWS Approx. Original Base Sticker Price: $43,500*. WHO WE ARE Welcome to BMW Concord, a great source of quality vehicles! Serving Contra Costa County, Solano County and Napa County; Northern California residents for over 30 years! Come experience our praise-worthy customer service, and excellent selection of some of the best BMW vehicles you can find. We keep a large inventory of new and used BMWs, so we are bound to have the perfect one for you. We look forward to serving you! Pricing analysis performed on 4/18/2019. Horsepower calculations based on trim engine configuration. Fuel economy calculations based on original manufacturer data for trim engine configuration. Please confirm the accuracy of the included equipment by calling us prior to purchase. Heated Seats, Nav System, Moonroof, Onboard Communications System, Dual Zone A/C, iPod/MP3 Input, LIVE COCKPIT PRO. Alpine White exterior and Black Leather w/blue stitching interior, 330i trim. EPA 36 MPG Hwy/26 MPG City! READ MORE! KEY FEATURES INCLUDE Navigation, Sunroof, Rear Air, Back-Up Camera, Turbocharged, iPod/MP3 Input, Onboard Communications System, Dual Zone A/C MP3 Player, Child Safety Locks, Steering Wheel Controls, Electronic Stability Control, Heated Mirrors. OPTION PACKAGES M SPORT PACKAGE M footrest and signature key, Shadowline Exterior Trim, SensaTec Dashboard, Active Driving Assistant, cross-traffic alert rear, For vehicles equipped w/navigation, speed limit info is additionally included, LED Fog Lights, Aluminum Tetragon Interior Trim, Active Blind Spot Detection, LED Headlights w/Cornering Lights, SiriusXM Satellite Radio, 1 year All Access subscription, M Sport Package (337), Variable Sport Steering, Lumbar Support, Comfort Access Keyless Entry, Without Lines Designation Outside, Aerodynamic Kit, M Sport Suspension, M Steering Wheel, Wheels: 19 x 8 Fr & 19 x 8.5 Rr M Double-Spoke (Style 791M), Bi-color jet black, Tires: 225/40R19 Fr & 255/35R19 Rr Perf Run-Flat, Increased Top Speed Limiter, LIVE COCKPIT PRO navi, Apple CarPlay Compatibility, 1 year trial VISIT US TODAY Welcome to BMW Concord, a great source of quality vehicles! Serving Contra Costa County, Solano County and Napa County; Northern California residents for over 30 years! Come experience our praise-worthy customer service, and excellent selection of some of the best BMW vehicles you can find. We keep a large inventory of new and used BMWs, so we are bound to have the perfect one for you. We look forward to serving you! Horsepower calculations based on trim engine configuration. Fuel economy calculations based on original manufacturer data for trim engine configuration. Please confirm the accuracy of the included equipment by calling us prior to purchase. Heated Seats, Sunroof, NAV, Onboard Communications System, Dual Zone A/C, iPod/MP3 Input, CONVENIENCE PACKAGE. 330i trim, Melbourne Red Metallic exterior and Black Vernasca Leather interior. FUEL EFFICIENT 36 MPG Hwy/26 MPG City! CLICK ME! KEY FEATURES INCLUDE Navigation, Sunroof, Rear Air, Turbocharged, iPod/MP3 Input, Onboard Communications System, Aluminum Wheels, Dual Zone A/C MP3 Player, Child Safety Locks, Steering Wheel Controls, Heated Mirrors, Electronic Stability Control. OPTION PACKAGES CONVENIENCE PACKAGE Active Driving Assistant, cross-traffic alert rear, For vehicles equipped w/navigation, speed limit info is additionally included, Active Blind Spot Detection, LED Headlights w/Cornering Lights, SiriusXM Satellite Radio, 1 year All Access subscription, Comfort Access Keyless Entry, Lumbar Support, LIVE COCKPIT PRO navi, Apple CarPlay Compatibility, 1 year trial, Connected Package Pro, PARKING ASSISTANCE PACKAGE Rear View Camera, Surround View w/3D View, Active Park Distance Control, Parking Assistant Plus, HEATED FRONT SEATS. BMW 330i with Melbourne Red Metallic exterior and Black Vernasca Leather interior features a 4 Cylinder Engine with 255 HP at 5000 RPM*. BUY FROM AN AWARD WINNING DEALER Welcome to BMW Concord, a great source of quality vehicles! Serving Contra Costa County, Solano County and Napa County; Northern California residents for over 30 years! Come experience our praise-worthy customer service, and excellent selection of some of the best BMW vehicles you can find. We keep a large inventory of new and used BMWs, so we are bound to have the perfect one for you. We look forward to serving you! Horsepower calculations based on trim engine configuration. Fuel economy calculations based on original manufacturer data for trim engine configuration. Please confirm the accuracy of the included equipment by calling us prior to purchase. Moonroof, Heated Seats, Navigation, iPod/MP3 Input, Onboard Communications System, Dual Zone A/C. Mineral White Metallic exterior and Canberra Beige Vernasca Lthr interior, 330i trim. FUEL EFFICIENT 36 MPG Hwy/26 MPG City! AND MORE! KEY FEATURES INCLUDE Navigation, Sunroof, Rear Air, Back-Up Camera, Turbocharged, iPod/MP3 Input, Onboard Communications System, Aluminum Wheels, Dual Zone A/C MP3 Player, Steering Wheel Controls, Child Safety Locks, Electronic Stability Control, Heated Mirrors. OPTION PACKAGES PREMIUM PACKAGE Live Cockpit Pro, navi, Apple CarPlay Compatibility, 1 year trial, Connected Package Pro, Heated Front Seats, Head-Up Display, Heated Steering Wheel, CONVENIENCE PACKAGE Active Driving Assistant, cross-traffic alert rear, For vehicles equipped w/navigation, speed limit info is additionally included, Active Blind Spot Detection, LED Headlights w/Cornering Lights, SiriusXM Satellite Radio, 1 year All Access subscription, Comfort Access Keyless Entry, Lumbar Support, harman/kardon SURROUND SOUND SYSTEM, PARK DISTANCE CONTROL. BMW 330i with Mineral White Metallic exterior and Canberra Beige Vernasca Lthr interior features a 4 Cylinder Engine with 255 HP at 5000 RPM*. WHO WE ARE Welcome to BMW Concord, a great source of quality vehicles! Serving Contra Costa County, Solano County and Napa County; Northern California residents for over 30 years! Come experience our praise-worthy customer service, and excellent selection of some of the best BMW vehicles you can find. We keep a large inventory of new and used BMWs, so we are bound to have the perfect one for you. We look forward to serving you! Horsepower calculations based on trim engine configuration. Fuel economy calculations based on original manufacturer data for trim engine configuration. Please confirm the accuracy of the included equipment by calling us prior to purchase. Heated Seats, Navigation, Moonroof, Onboard Communications System, Dual Zone A/C, iPod/MP3 Input, Turbo Charged. 330i trim, Mineral Grey Metallic exterior and Oyster Vernasca Leather interior. FUEL EFFICIENT 36 MPG Hwy/26 MPG City! SEE MORE! KEY FEATURES INCLUDE Navigation, Sunroof, Rear Air, Turbocharged, iPod/MP3 Input, Onboard Communications System, Aluminum Wheels, Dual Zone A/C. MP3 Player, Steering Wheel Controls, Child Safety Locks, Electronic Stability Control, Heated Mirrors. OPTION PACKAGES PREMIUM PACKAGE Live Cockpit Pro, navi, Apple CarPlay Compatibility, 1 year trial, Connected Package Pro, Heated Front Seats, Head-Up Display, Heated Steering Wheel, CONVENIENCE PACKAGE Active Driving Assistant, cross-traffic alert rear, For vehicles equipped w/navigation, speed limit info is additionally included, Active Blind Spot Detection, LED Headlights w/Cornering Lights, SiriusXM Satellite Radio, 1 year All Access subscription, Comfort Access Keyless Entry, Lumbar Support, PARKING ASSISTANCE PACKAGE Rear View Camera, Surround View w/3D View, Active Park Distance Control, Parking Assistant Plus, harman/kardon SURROUND SOUND SYSTEM. BMW 330i with Mineral Grey Metallic exterior and Oyster Vernasca Leather interior features a 4 Cylinder Engine with 255 HP at 5000 RPM*. BUY FROM AN AWARD WINNING DEALER Welcome to BMW Concord, a great source of quality vehicles! Serving Contra Costa County, Solano County and Napa County; Northern California residents for over 30 years! Come experience our praise-worthy customer service, and excellent selection of some of the best BMW vehicles you can find. We keep a large inventory of new and used BMWs, so we are bound to have the perfect one for you. We look forward to serving you! Horsepower calculations based on trim engine configuration. Fuel economy calculations based on original manufacturer data for trim engine configuration. Please confirm the accuracy of the included equipment by calling us prior to purchase. Heated Seats, NAV, Sunroof, Onboard Communications System, Dual Zone A/C, iPod/MP3 Input, LIVE COCKPIT PRO, HEATED FRONT SEATS. 330i trim, Portimao Blue Metallic exterior and Black SensaTec interior. EPA 36 MPG Hwy/26 MPG City! CLICK NOW! KEY FEATURES INCLUDE Navigation, Sunroof, Rear Air, Back-Up Camera, Turbocharged, iPod/MP3 Input, Onboard Communications System, Dual Zone A/C. MP3 Player, Child Safety Locks, Steering Wheel Controls, Electronic Stability Control, Heated Mirrors. OPTION PACKAGES M SPORT PACKAGE M footrest and signature key, Shadowline Exterior Trim, SensaTec Dashboard, Active Driving Assistant, cross-traffic alert rear, For vehicles equipped w/navigation, speed limit info is additionally included, LED Fog Lights, Aluminum Tetragon Interior Trim, Active Blind Spot Detection, LED Headlights w/Cornering Lights, SiriusXM Satellite Radio, 1 year All Access subscription, M Sport Package (337), Variable Sport Steering, Lumbar Support, Comfort Access Keyless Entry, Without Lines Designation Outside, Aerodynamic Kit, M Sport Suspension, M Steering Wheel, Wheels: 19 x 8 Fr & 19 x 8.5 Rr M Double-Spoke (Style 791M), Bi-color jet black, Tires: 225/40R19 Fr & 255/35R19 Rr Perf Run-Flat, Increased Top Speed Limiter, LIVE COCKPIT PRO navi, Apple CarPlay Compatibility, 1 year trial WHO WE ARE Welcome to BMW Concord, a great source of quality vehicles! Serving Contra Costa County, Solano County and Napa County; Northern California residents for over 30 years! Come experience our praise-worthy customer service, and excellent selection of some of the best BMW vehicles you can find. We keep a large inventory of new and used BMWs, so we are bound to have the perfect one for you. We look forward to serving you! Horsepower calculations based on trim engine configuration. Fuel economy calculations based on original manufacturer data for trim engine configuration. Please confirm the accuracy of the included equipment by calling us prior to purchase. Heated Seats, Sunroof, NAV, iPod/MP3 Input, Onboard Communications System, Dual Zone A/C, LIVE COCKPIT PRO. Glacier Silver Metallic exterior and Black SensaTec interior, 330i trim. FUEL EFFICIENT 36 MPG Hwy/26 MPG City! SEE MORE! KEY FEATURES INCLUDE Navigation, Sunroof, Rear Air, Back-Up Camera, Turbocharged, iPod/MP3 Input, Onboard Communications System, Aluminum Wheels, Dual Zone A/C MP3 Player, Child Safety Locks, Steering Wheel Controls, Heated Mirrors, Electronic Stability Control. OPTION PACKAGES CONVENIENCE PACKAGE Active Driving Assistant, cross-traffic alert rear, For vehicles equipped w/navigation, speed limit info is additionally included, Active Blind Spot Detection, LED Headlights w/Cornering Lights, SiriusXM Satellite Radio, 1 year All Access subscription, Comfort Access Keyless Entry, Lumbar Support, LIVE COCKPIT PRO navi, Apple CarPlay Compatibility, 1 year trial, Connected Package Pro, HEATED FRONT SEATS, PARK DISTANCE CONTROL. BMW 330i with Glacier Silver Metallic exterior and Black SensaTec interior features a 4 Cylinder Engine with 255 HP at 5000 RPM*. VISIT US TODAY Welcome to BMW Concord, a great source of quality vehicles! Serving Contra Costa County, Solano County and Napa County; Northern California residents for over 30 years! Come experience our praise-worthy customer service, and excellent selection of some of the best BMW vehicles you can find. We keep a large inventory of new and used BMWs, so we are bound to have the perfect one for you. We look forward to serving you! Horsepower calculations based on trim engine configuration. Fuel economy calculations based on original manufacturer data for trim engine configuration. Please confirm the accuracy of the included equipment by calling us prior to purchase. Moonroof, Heated Seats, Nav System, Onboard Communications System, Dual Zone A/C, iPod/MP3 Input, Rear Air. Black Sapphire Metallic exterior and Cognac Vernasca Leather interior, 330i trim. FUEL EFFICIENT 36 MPG Hwy/26 MPG City! CLICK ME! KEY FEATURES INCLUDE Navigation, Sunroof, Rear Air, Back-Up Camera, Turbocharged, iPod/MP3 Input, Onboard Communications System, Aluminum Wheels, Dual Zone A/C. MP3 Player, Child Safety Locks, Steering Wheel Controls, Heated Mirrors, Electronic Stability Control. OPTION PACKAGES PREMIUM PACKAGE Live Cockpit Pro, navi, Apple CarPlay Compatibility, 1 year trial, Connected Package Pro, Heated Front Seats, Head-Up Display, Heated Steering Wheel, CONVENIENCE PACKAGE Active Driving Assistant, cross-traffic alert rear, For vehicles equipped w/navigation, speed limit info is additionally included, Active Blind Spot Detection, LED Headlights w/Cornering Lights, SiriusXM Satellite Radio, 1 year All Access subscription, Comfort Access Keyless Entry, Lumbar Support, PARK DISTANCE CONTROL. BMW 330i with Black Sapphire Metallic exterior and Cognac Vernasca Leather interior features a 4 Cylinder Engine with 255 HP at 5000 RPM*. VISIT US TODAY Welcome to BMW Concord, a great source of quality vehicles! Serving Contra Costa County, Solano County and Napa County; Northern California residents for over 30 years! Come experience our praise-worthy customer service, and excellent selection of some of the best BMW vehicles you can find. We keep a large inventory of new and used BMWs, so we are bound to have the perfect one for you. We look forward to serving you! Horsepower calculations based on trim engine configuration. Fuel economy calculations based on original manufacturer data for trim engine configuration. Please confirm the accuracy of the included equipment by calling us prior to purchase. Nav System, Moonroof, Heated Seats, iPod/MP3 Input, Onboard Communications System, Dual Zone A/C. FUEL EFFICIENT 36 MPG Hwy/26 MPG City! Mediterranean Blue Metallic exterior and Cognac Vernasca Leather interior, 330i trim AND MORE! KEY FEATURES INCLUDE Navigation, Sunroof, Rear Air, Turbocharged, iPod/MP3 Input, Onboard Communications System, Aluminum Wheels, Dual Zone A/C. Steering Wheel Controls, Child Safety Locks, Electronic Stability Control, Heated Mirrors, Bucket Seats. OPTION PACKAGES PREMIUM PACKAGE Live Cockpit Pro, navi, Apple CarPlay Compatibility, 1 year trial, Connected Package Pro, Heated Front Seats, Head-Up Display, Heated Steering Wheel, CONVENIENCE PACKAGE Active Driving Assistant, cross-traffic alert rear, For vehicles equipped w/navigation, speed limit info is additionally included, Active Blind Spot Detection, LED Headlights w/Cornering Lights, SiriusXM Satellite Radio, 1 year All Access subscription, Comfort Access Keyless Entry, Lumbar Support, PARKING ASSISTANCE PACKAGE Rear View Camera, Surround View w/3D View, Active Park Distance Control, Parking Assistant Plus, harman/kardon SURROUND SOUND SYSTEM, WIRELESS CHARGING WiFi Hotspot. BMW 330i with Mediterranean Blue Metallic exterior and Cognac Vernasca Leather interior features a 4 Cylinder Engine with 255 HP at 5000 RPM*. WHO WE ARE Welcome to BMW Concord, a great source of quality vehicles! Serving Contra Costa County, Solano County and Napa County; Northern California residents for over 30 years! Come experience our praise-worthy customer service, and excellent selection of some of the best BMW vehicles you can find. We keep a large inventory of new and used BMWs, so we are bound to have the perfect one for you. We look forward to serving you! Horsepower calculations based on trim engine configuration. Fuel economy calculations based on original manufacturer data for trim engine configuration. Please confirm the accuracy of the included equipment by calling us prior to purchase. Heated Seats, Navigation, Moonroof, iPod/MP3 Input, Onboard Communications System, Dual Zone A/C, LIVE COCKPIT PRO, Rear Air. Glacier Silver Metallic exterior and Black SensaTec interior, 330i trim. EPA 36 MPG Hwy/26 MPG City! SEE MORE! KEY FEATURES INCLUDE Navigation, Sunroof, Rear Air, Back-Up Camera, Turbocharged, iPod/MP3 Input, Onboard Communications System, Aluminum Wheels, Dual Zone A/C. MP3 Player, Child Safety Locks, Steering Wheel Controls, Heated Mirrors, Electronic Stability Control. OPTION PACKAGES CONVENIENCE PACKAGE Active Driving Assistant, cross-traffic alert rear, For vehicles equipped w/navigation, speed limit info is additionally included, Active Blind Spot Detection, LED Headlights w/Cornering Lights, SiriusXM Satellite Radio, 1 year All Access subscription, Comfort Access Keyless Entry, Lumbar Support, LIVE COCKPIT PRO navi, Apple CarPlay Compatibility, 1 year trial, Connected Package Pro, HEATED FRONT SEATS, PARK DISTANCE CONTROL. BMW 330i with Glacier Silver Metallic exterior and Black SensaTec interior features a 4 Cylinder Engine with 255 HP at 5000 RPM*. MORE ABOUT US Welcome to BMW Concord, a great source of quality vehicles! Serving Contra Costa County, Solano County and Napa County; Northern California residents for over 30 years! Come experience our praise-worthy customer service, and excellent selection of some of the best BMW vehicles you can find. We keep a large inventory of new and used BMWs, so we are bound to have the perfect one for you. We look forward to serving you! Horsepower calculations based on trim engine configuration. Fuel economy calculations based on original manufacturer data for trim engine configuration. Please confirm the accuracy of the included equipment by calling us prior to purchase. Heated Seats, Navigation, Sunroof, Onboard Communications System, Dual Zone A/C, iPod/MP3 Input, Back-Up Camera. 330i trim, Mineral Grey Metallic exterior and Black Vernasca Leather interior. FUEL EFFICIENT 36 MPG Hwy/26 MPG City! READ MORE! KEY FEATURES INCLUDE Navigation, Sunroof, Rear Air, Back-Up Camera, Turbocharged, iPod/MP3 Input, Onboard Communications System, Dual Zone A/C MP3 Player, Child Safety Locks, Steering Wheel Controls, Electronic Stability Control, Heated Mirrors. OPTION PACKAGES M SPORT PACKAGE M footrest and signature key, Shadowline Exterior Trim, SensaTec Dashboard, Active Driving Assistant, cross-traffic alert rear, For vehicles equipped w/navigation, speed limit info is additionally included, LED Fog Lights, Aluminum Tetragon Interior Trim, Active Blind Spot Detection, LED Headlights w/Cornering Lights, SiriusXM Satellite Radio, 1 year All Access subscription, M Sport Package (337), Variable Sport Steering, Lumbar Support, Comfort Access Keyless Entry, Without Lines Designation Outside, Aerodynamic Kit, M Sport Suspension, M Steering Wheel, Wheels: 19 x 8 Fr & 19 x 8.5 Rr M Double-Spoke (Style 791M), Bi-color jet black, Tires: 225/40R19 Fr & 255/35R19 Rr Perf Run-Flat, Increased Top Speed Limiter, LIVE COCKPIT PRO navi, Apple CarPlay Compatibility, 1 year trial WHO WE ARE Welcome to BMW Concord, a great source of quality vehicles! Serving Contra Costa County, Solano County and Napa County; Northern California residents for over 30 years! Come experience our praise-worthy customer service, and excellent selection of some of the best BMW vehicles you can find. We keep a large inventory of new and used BMWs, so we are bound to have the perfect one for you. We look forward to serving you! Horsepower calculations based on trim engine configuration. Fuel economy calculations based on original manufacturer data for trim engine configuration. Please confirm the accuracy of the included equipment by calling us prior to purchase. Test drive the new BMW 3 Series and explore all the other new BMW models on sale right now near Lafayette at BMW Concord. Compare the BMW X3 and BMW X5, and chat with our knowledgeable sales team about the benefits of all the models we have in stock. You’ll also be able to count on the certified BMW technicians in our service center whenever you need BMW maintenance or repairs in Concord. Ready to take the next step? Give us a call today at (888) 707-2860.